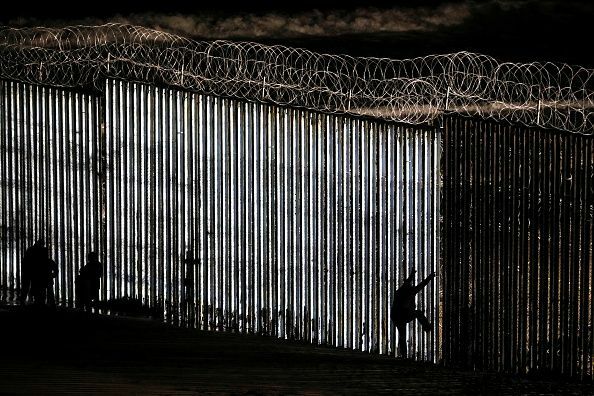 A viral campaign on GoFundMe is asking people to donate their money to buy ladders for President Donald Trump’s border wall. The “Ladders to Get Over Trump’s Wall” campaign on GoFundMe has already raised more than $21,000 of it’s $100 million dollar goal. The fundraiser, which was started by Twitter user @HoarseWisperer and Charlotte Clymer, was launched on Wednesday as a response to another fundraiser to help fund Trump’s border wall. The campaign isn’t really about ladders, Clymer told Newsweek. The fundraiser is aiming to show how ridiculous the “We the People Will Build the Wall Fund” is. “Supporting an organization working to help immigrants seeking legal asylum. This GoFundMe isn’t really about ladders at all. It’s about lifting people up,” the description for the fundraiser read. “I could see the frustration among many Americans like myself. I knew there was a possible way to do this with so many people passionate about the cause,” he previously said. Clymer, who works for the Human Rights Campaign, said she and twitter user @HoarseWisperer created the fundraiser on their own to show how absurd the border wall was. @HoarseWisperer made a joke about creating a fundraiser for ladders, and the campaign was born. Clymer, who is also a military veteran, hopes the fundraiser will show others that immigrants need support and to not be rejected from the U.S. The money raised in the campaign will be donated to Refugee and Immigrant Center for Education and Legal Services (RAICES), a Texas nonprofit that provides services for immigrants and their families.